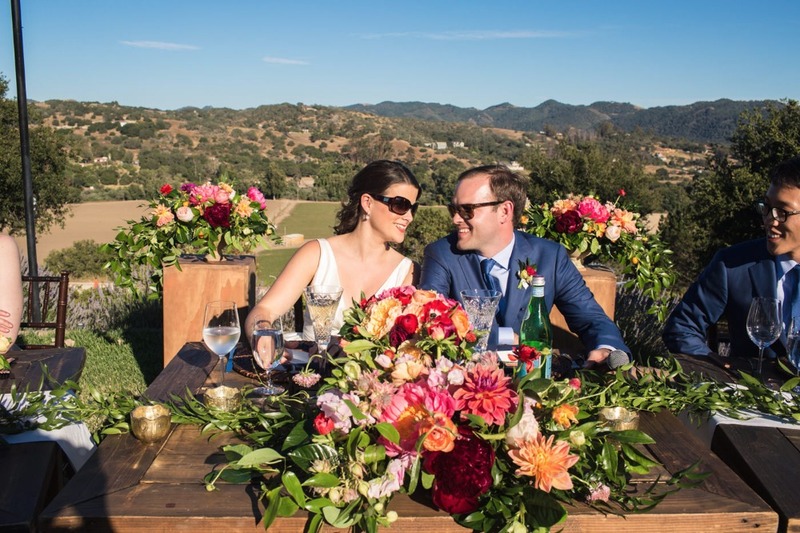 The gorgeous Casitas Estate in San Luis Obispo was the backdrop for this chic preppy wedding, and boy did it turn out uber pretty! 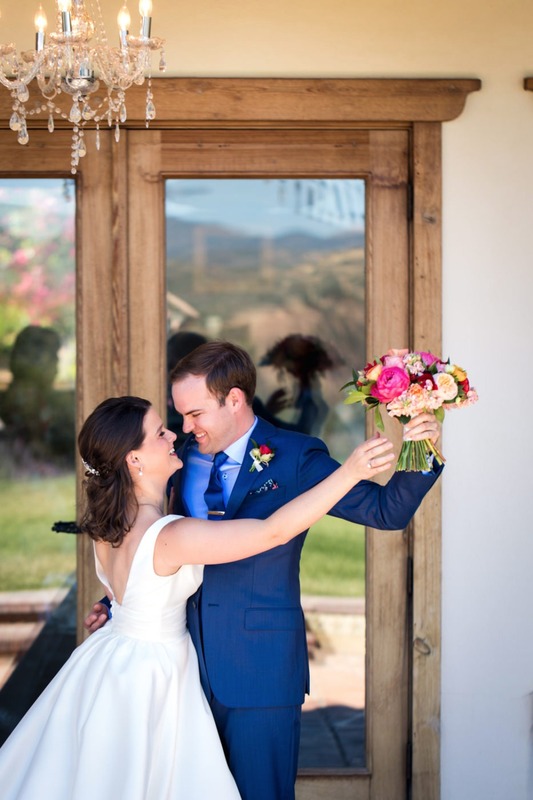 Their vibrant florals popped against the deep navy which added a sophisticated yet fun vibe to their big day. 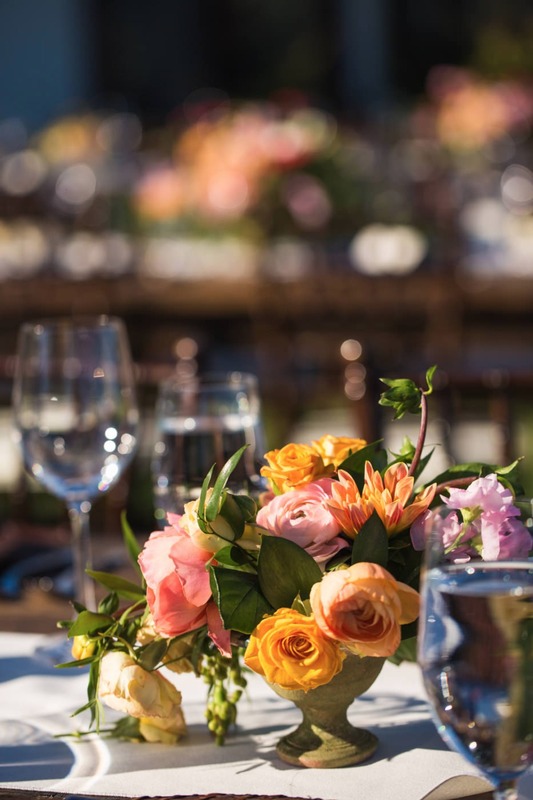 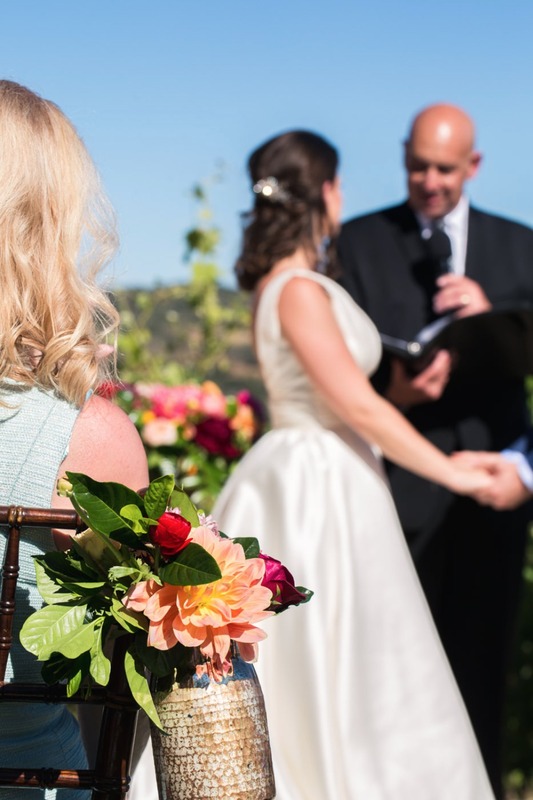 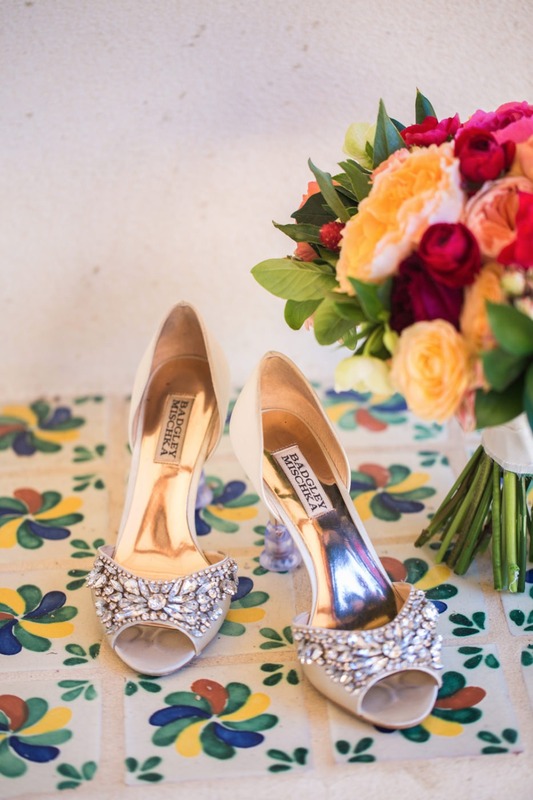 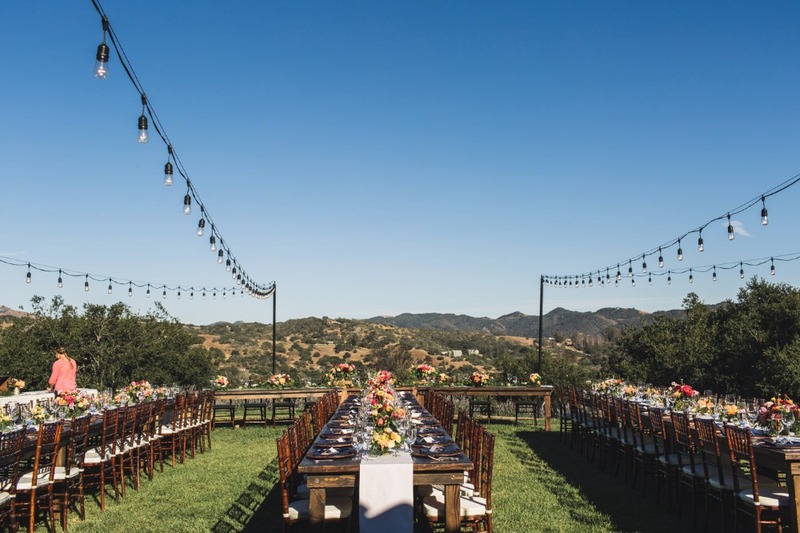 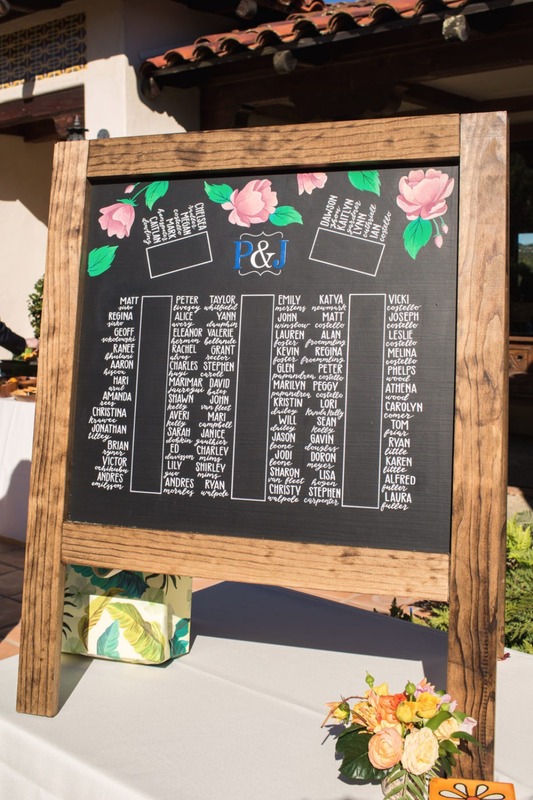 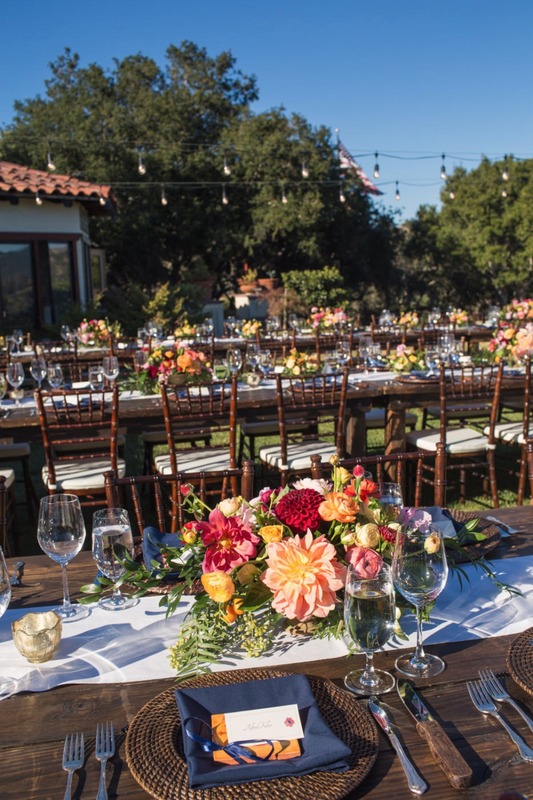 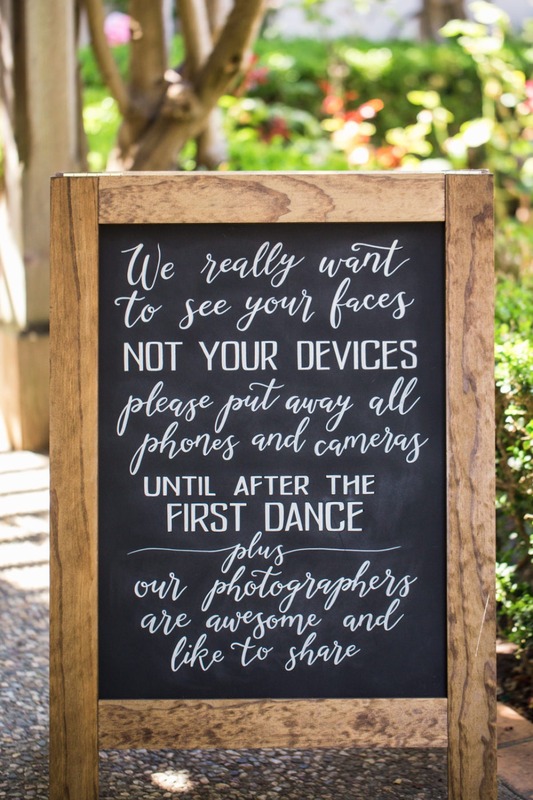 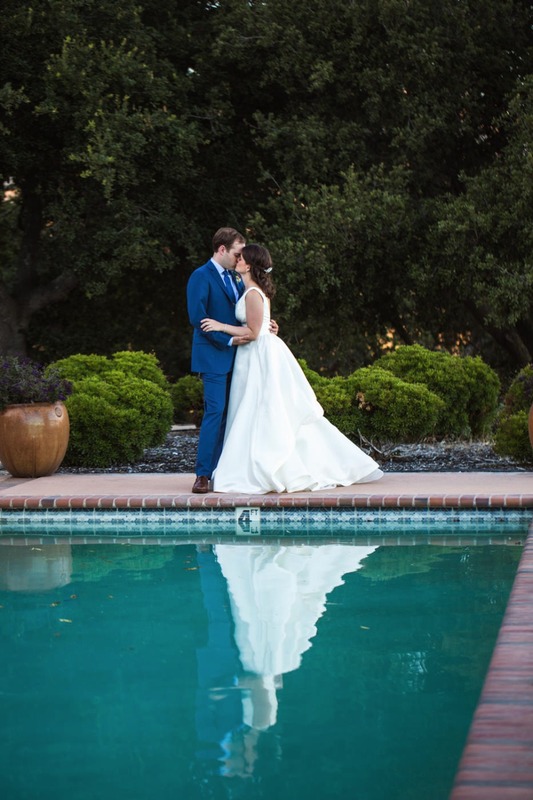 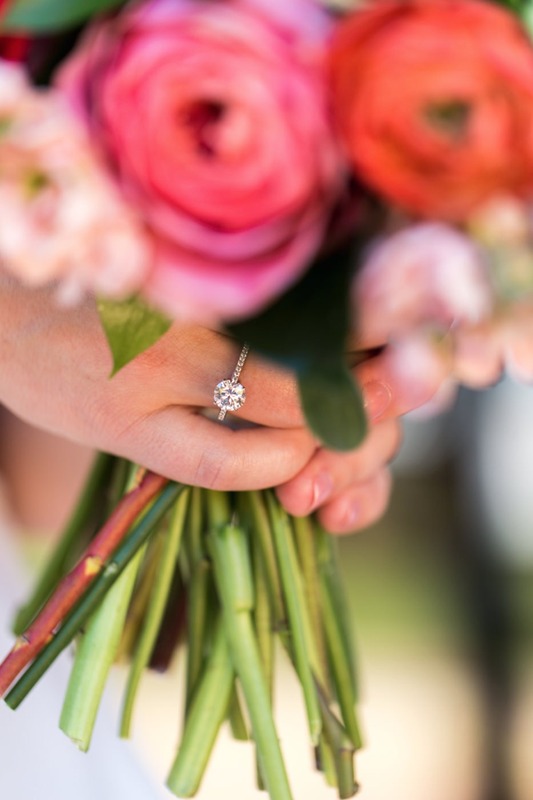 If you've been dreaming of a California wedding, then you should definitely check out the full gallery where you can see their entire day beautifully captured by Alice Che Photography. 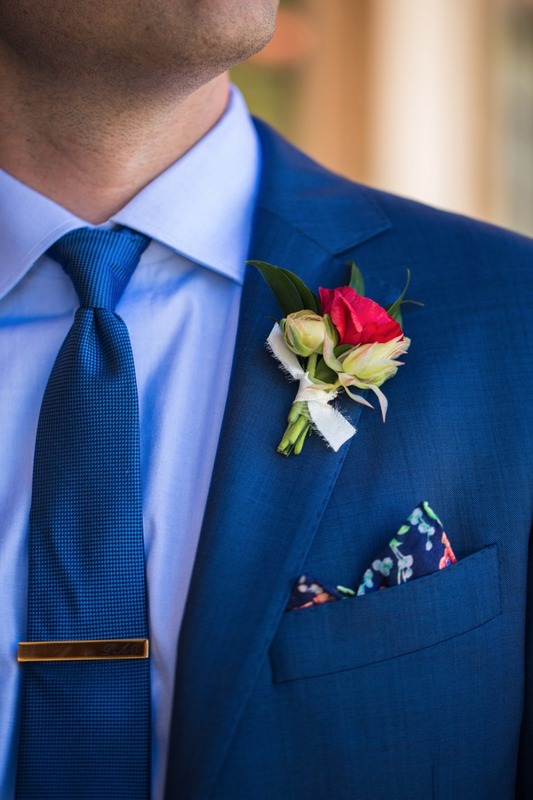 Be sure to pin your favorites! 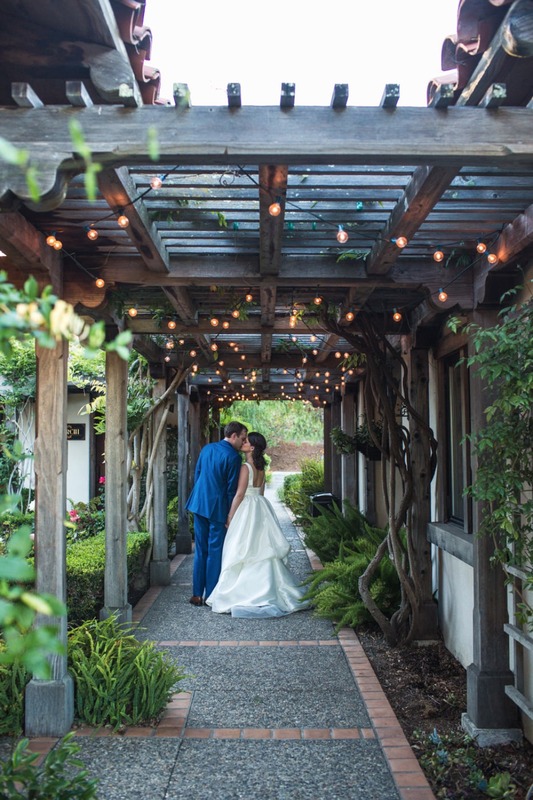 From the groom: The desire for an intimate ceremony helped us pick the Casitas Estate as our venue. 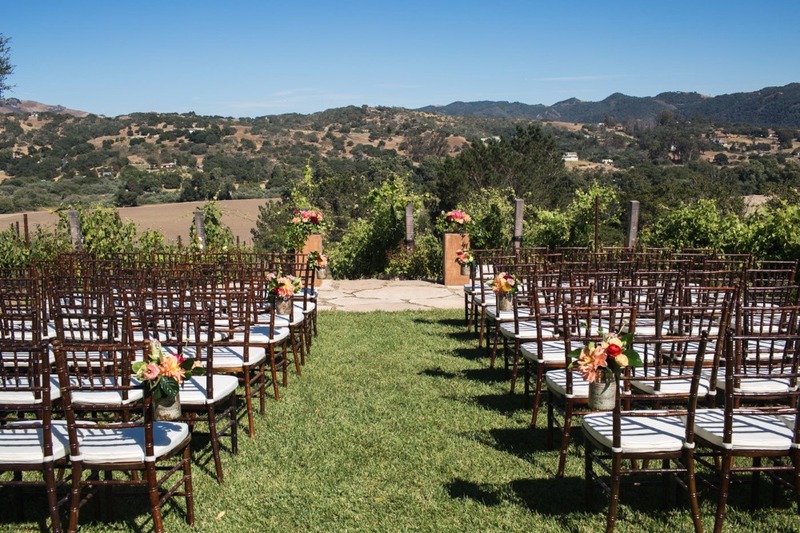 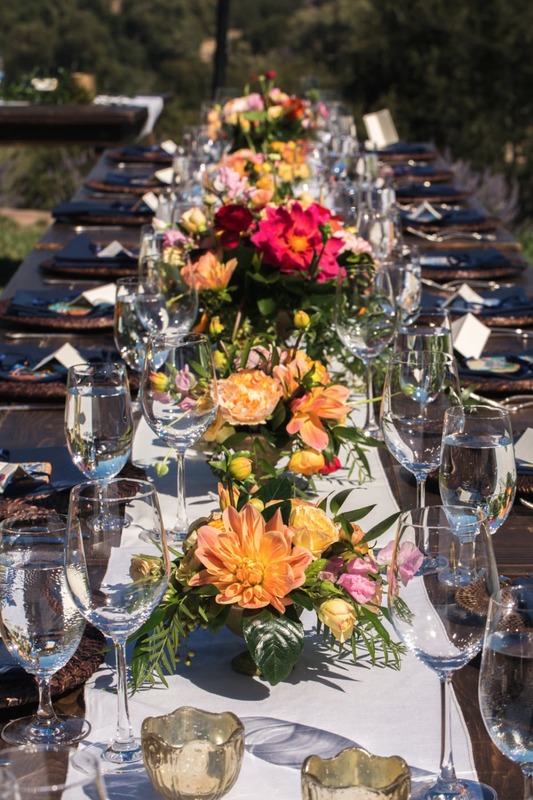 Besides the gorgeous views, it was perfectly positioned close enough that our family and friends could attend and far enough that they were fully present for our wedding -- no other obligations that they could run off to. 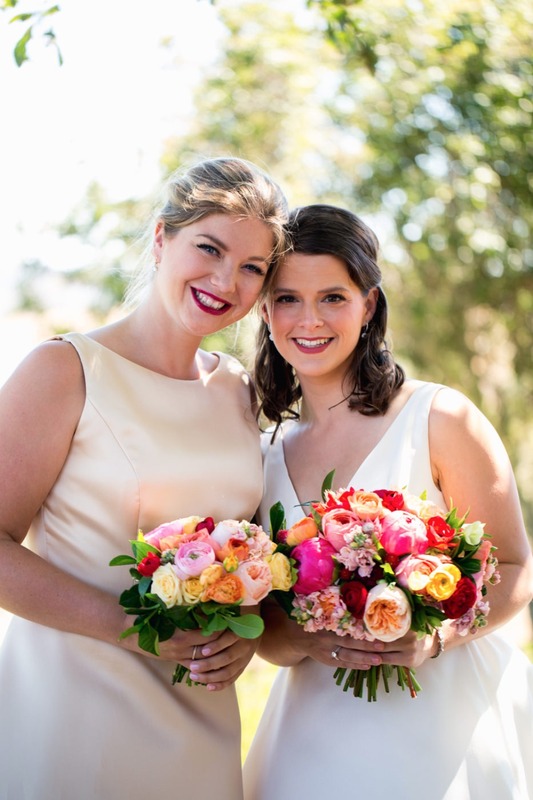 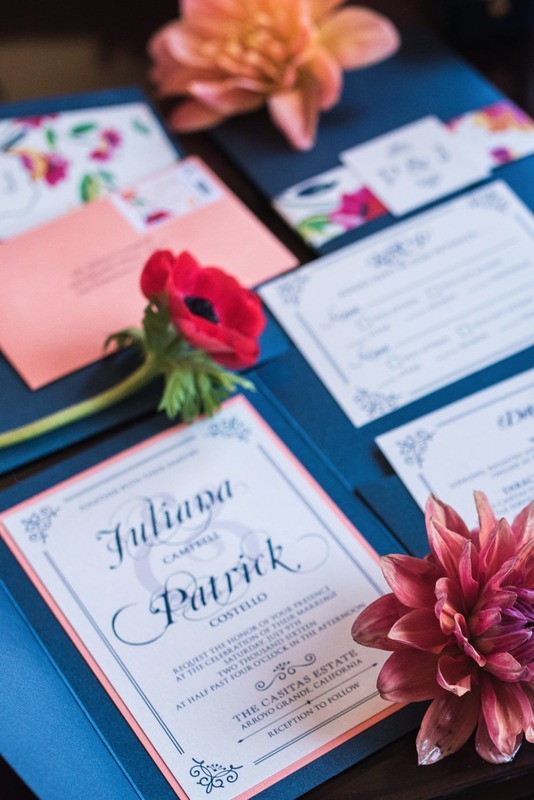 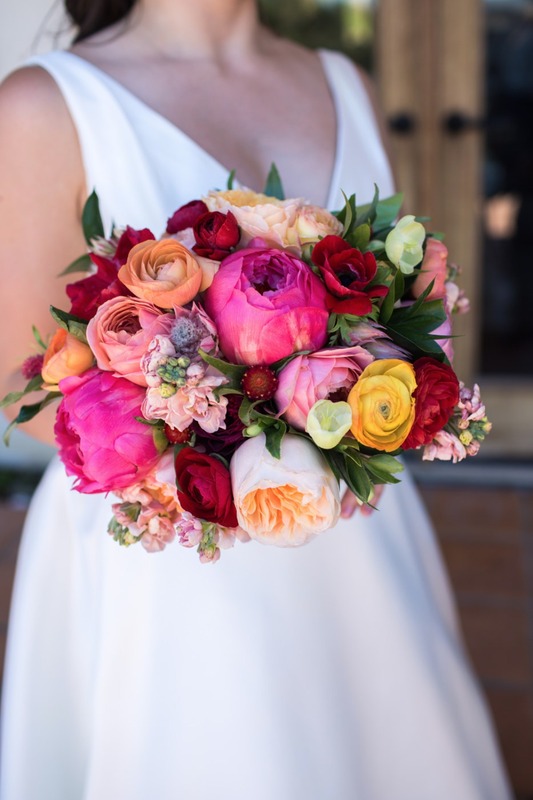 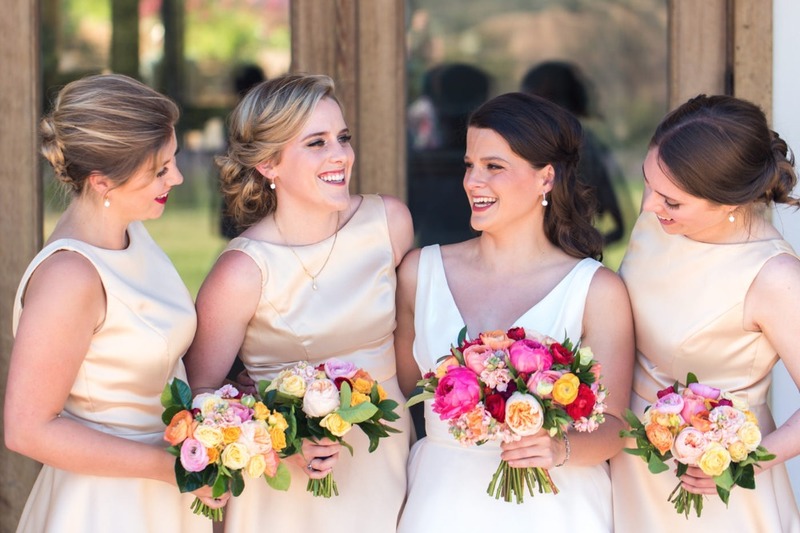 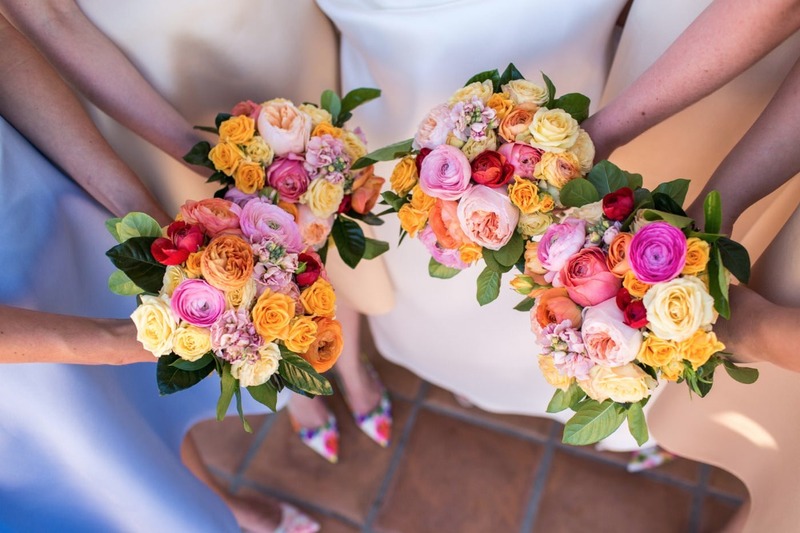 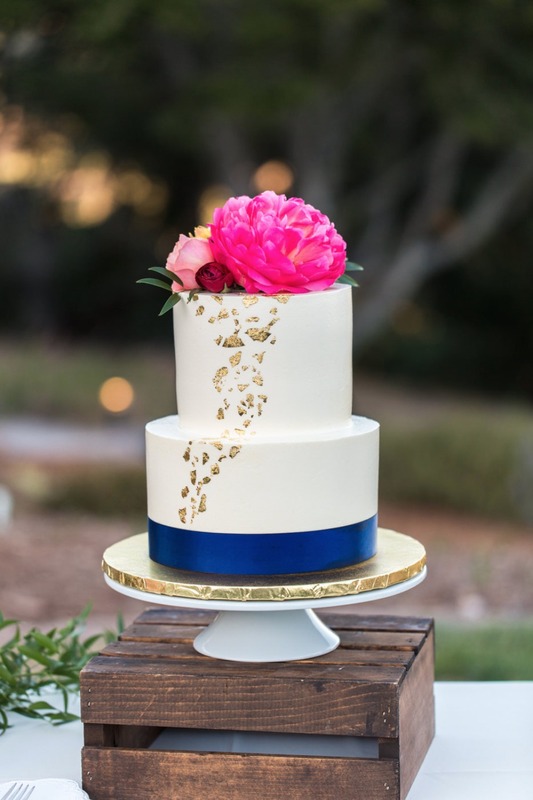 Noonan’s Designs was able to add the pops of color to the flowers that gave Julie the vibrant wedding she wanted. 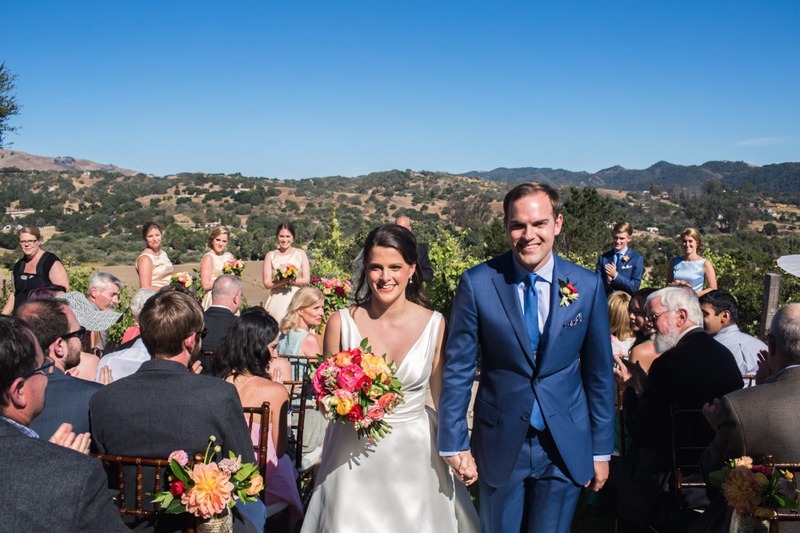 Danny Steil of Cultivate Entertainment was able to gracefully carry us through the ceremony and dancing. 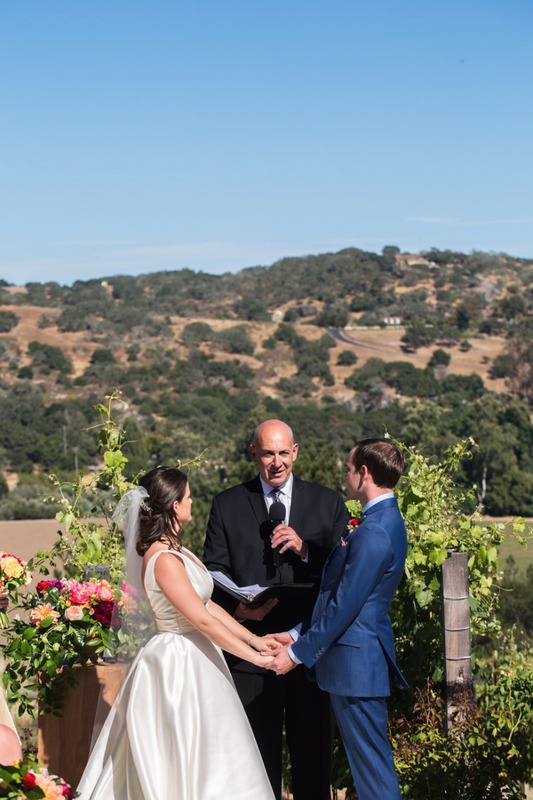 Pat, the owner of the Casitas Estate, also was a great resource for where to get the best local wines. 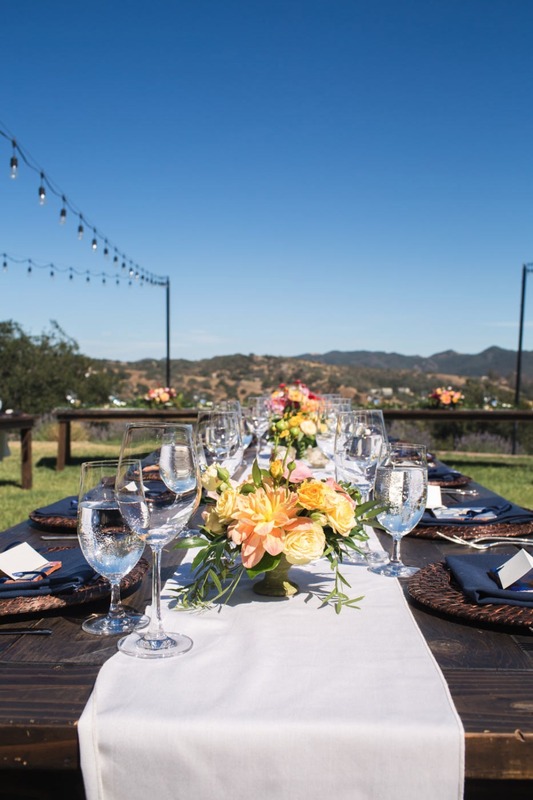 Unintentionally all our alcohol ended up being local with Firestone beer, Edna Valley white wine, Sans Liege red, and Laetitia sparkling; and our guests absolutely loved it. 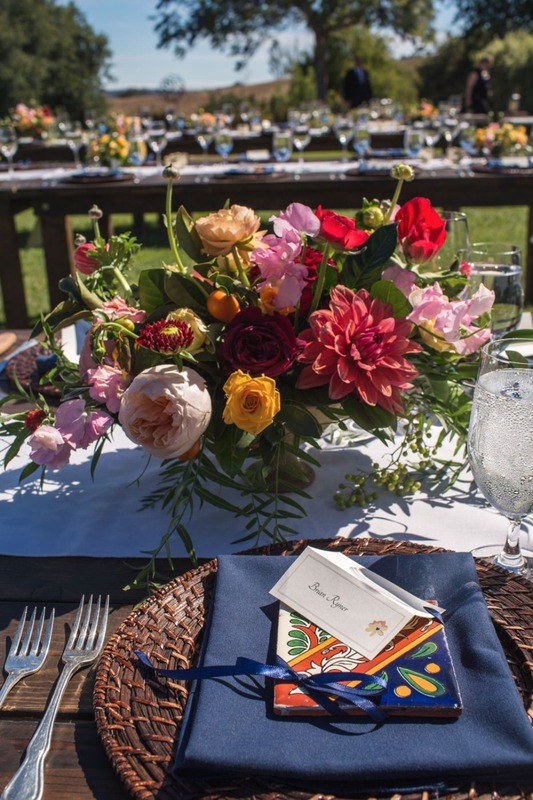 The entire wedding planning process was full of highs and lows from being excited for picking a vendor to being stressed about something as trivial as napkin colors. 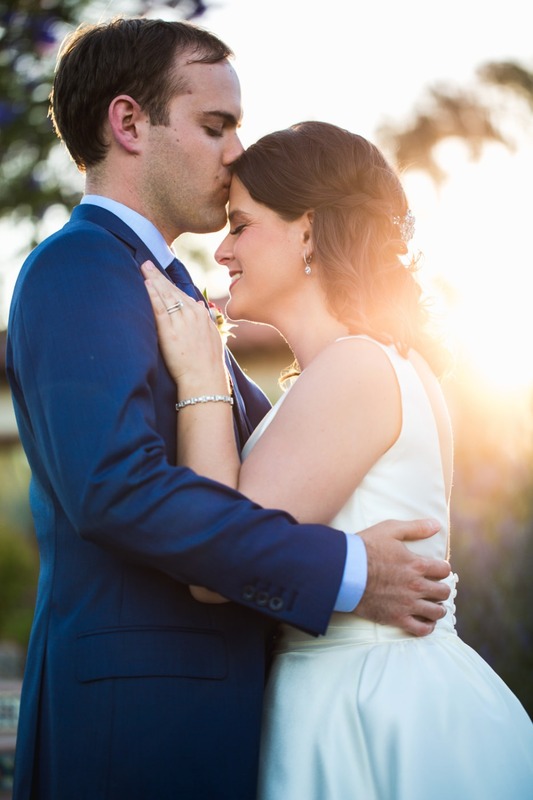 When our wedding day finally came, all of that melted away. 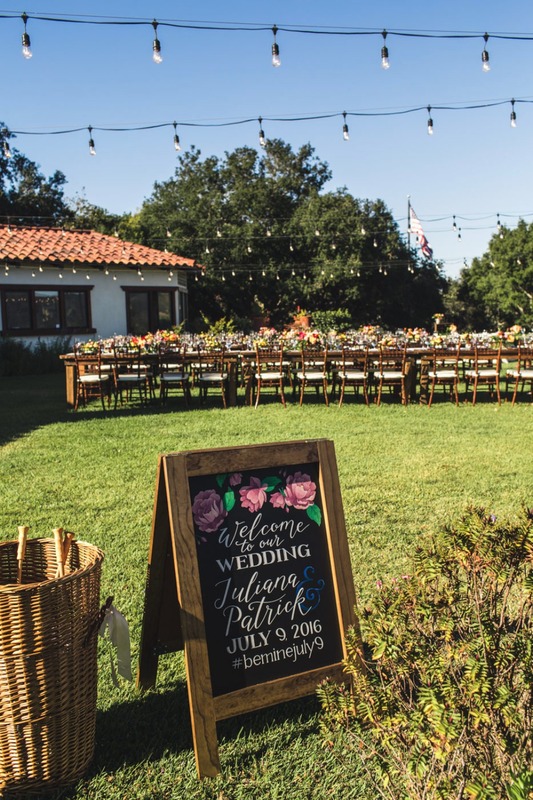 I didn’t notice that our welcome sign actually said “Welome”, but our coordinator Janet did and was able to get it fixed before our guests arrived. 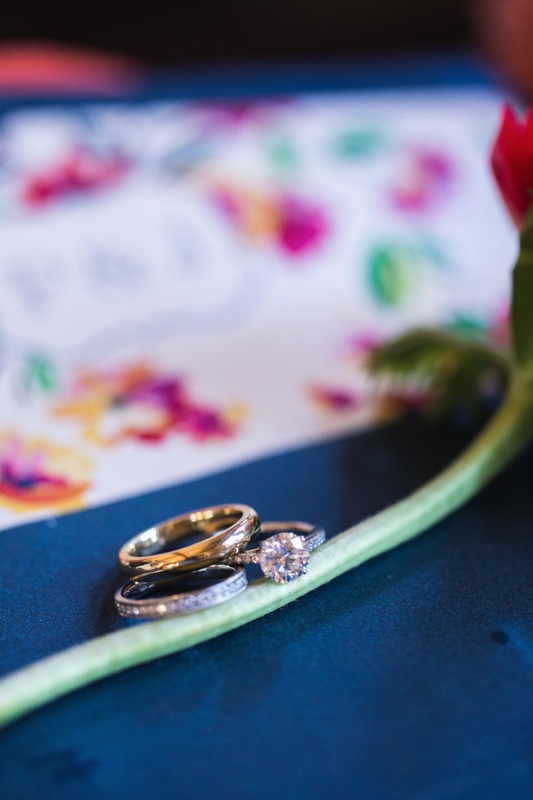 All I knew was that I got to say “I Do” to spending the rest of my life with my best friend.